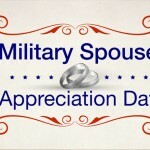 This year’s short n’ sweet post on social media by the Department of Defense (DOD) “On Military Spouse Appreciation Day, the Department of Defense would like to take the opportunity to thank and honor the husbands and wives of our service members. Salute.” It is worth visiting the DOD on Facebook to read the tributes from military personnel to their sweethearts, so strong and true. Home front heroes were recognized in May 1984 when President Ronald Reagan formally declared the Friday before Mother’s Day as Military Spouse Day. So, in 2014 our day to take time out for the life partners who support America’s troops at home and when deployed is Friday, May 9. My Administration is working to fulfill our sacred obligation to our veterans, service members, their spouses, and their families. We are helping military families avoid foreclosure and predatory lending, and we are investing in their education. We are easing burdens by supporting childcare and assisting with career training. And because our men and women in uniform and their spouses are partners not only in love, but also in law, we are doing everything we can to ensure all married couples receive the benefits they deserve — regardless of their sexual orientation. The remainder of the proclamation touches on expanding employment opportunities for veterans, transitioning service members, and their spouses. It notes advocating for new legislation to bolster professional development services. And there are the hopes of forging stronger connections between military and civilian families so that both gratitude and tangible support is extended to the force and the forces behind them. President Obama stressed that this means all of us engaging in the push to give military families the opportunities, resources, and support they have earned. It means the administrations honoring the various roles spouses are trying to fulfill – parent, employed partner, caregiver to warriors hurt in the line of duty. May is recognized as Military Appreciation Month, in general. To view a 30 second video of the 2013 public service announcement found on the official home page of the United States Army here or read the 2014 Army Strong graphic and article here. The Department of National Defense issued a formal and classic salute to all those who serve: soldiers, sailors, airmen, Marines and Coast Guardsmen, 12 years ago. Yet, it resonates with many. 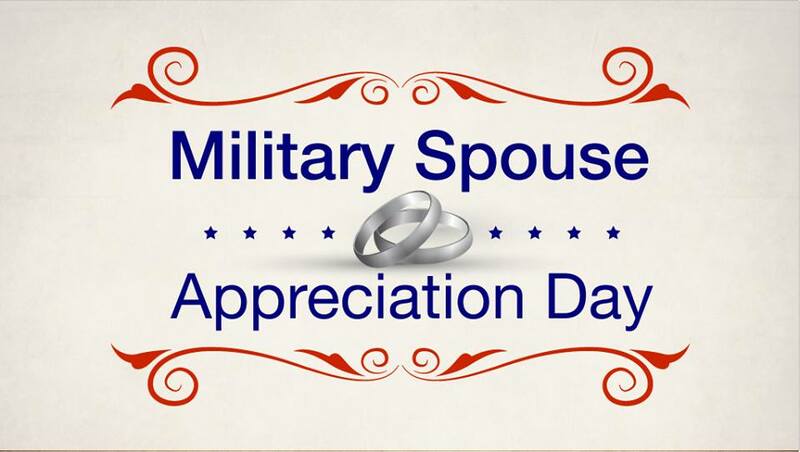 To salute spouses today, Military Success Network’s tribute to Military Spouse Appreciation Day recalls the words of Robert Johnson, editor at Fort Leonard Wood Guidon, we published in 2013. The publication is one that generously shares the He Said She Said column written by Pam and Shaun Collins with MilSuccessNet readers. On Friday we honor military spouses. Military Spouse Day has been part of our military heritage since President Ronald Reagan signed the first proclamation in 1984 designating Friday prior to Mother’s Day as Military Spouse Day. 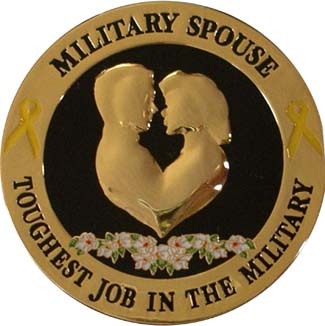 It’s not military wives’ day, so appreciation for all the sacrifices, support and contribution attributed to spouses can be bestowed upon any gender. To read his full 2013 occasion post in the Guidon, click here.